Texas attorney general Greg Abbott has said he will appeal a second gay divorce in order to protect heterosexual marriage in the state. Angelique Naylor and Sabina Daly, who married in Massachusetts in 2004 and are parents to an adopted child, were granted a divorce by a judge in Austin in February. However, Mr Abbott is appealing the decision because he says a gay marriage performed in another state cannot be dissolved in Texas if the state does not recognise gay marriage. He said: “A divorce is an ending or a termination of a valid legal marriage. Tomorrow, a state appeals court will hear the case of another gay couple who want a divorce granted in Texas. The men married in Massachusetts in 2006 and then returned to Dallas. A judge granted them a divorce last October by Mr Abbott appealed the decision. 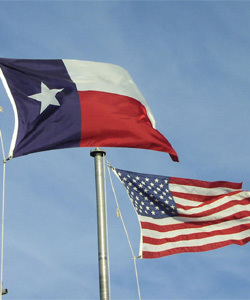 Texas has a constitutional ban on gay marriage. It was passed in 2005 and approved by 75 per cent of voters.